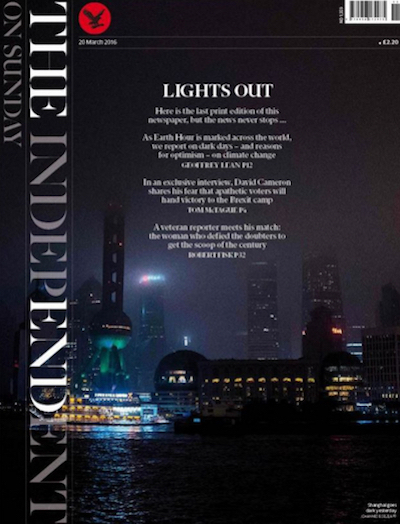 Today, The Independent On Sunday published its final print edition. 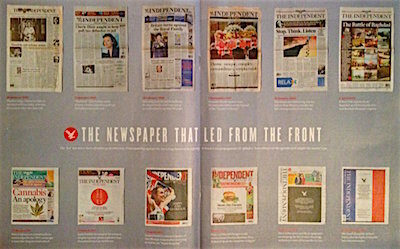 Its masthead was changed to read "THE INDEPENDENT", and its supplement The New Review was devoted entirely to reprints of some of its best articles and a centre-page spread of memorable covers. 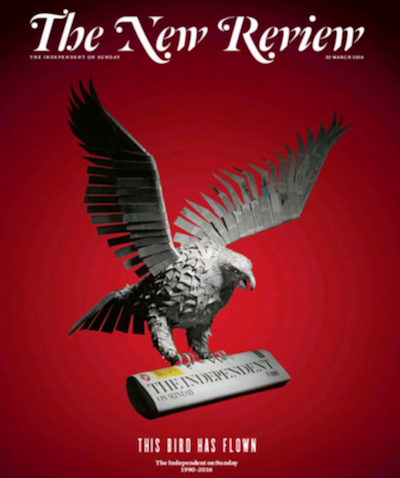 Editor Lisa Markwell, writing on page three of The New Review, pointed out that "we are Fleet Street's smallest team," a recognition of her newspaper's lack of resources. The Independent On Sunday was launched on 28th January 1990. It is now the first UK national newspaper to convert to a digital-only news brand. Its sister paper, The Independent, will publish its final print edition on 26th March. Ironically, the Independent titles were eclipsed by the i, which currently has a circulation five times higher than The Independent's.